Alongside being one of Edinburgh’s hot-spots to visit, The Principal Charlotte Square has added a luxury Spa into the mix. The hotel is now the perfect place to staycation in Scotland, you don’t even have to leave the front door. (Full guide coming soon). But for now – lets focus on the spa. 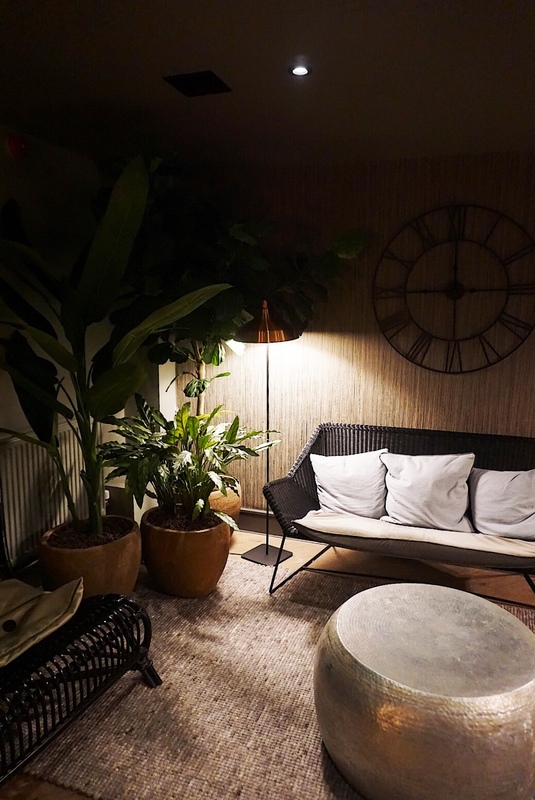 After attending the launch of The Spa at The Principal Charlotte Square I was so excited to be invited back to experience one of their luxury treatments featuring Oskia and Ishga skincare. The spa is tucked away under The Principal hotel. Dark mood lighting sets an ambience where you can truly switch off from the city bustling above. The decor is serious hygee inspo, creating an overall feeling of cozy contentment and well-being. The Spa at The Principal offers a full range of spa treatments, using natural & organic ingredients with products by OSKIA and ishga. OSKIA’s luxurious facial treatments are designed to give you a beautifully glowing complexion. They also showcase Scottish skincare brand ishga, developed on the Isle of Lewis using Scottish seaweed with far-reaching healing properties. You may recognise ishga from my Instagram, I have worked with them numerous times on photoshoots, I am a huge fan of their products! On this occasion I thought it would be nice to try something new. I opted for the OSKIA Signature Glow Facial. On first entry the treatment room smells absolutely divine with the OSKIA Rose de Mai Massage Candle burning (ready to be used for your arm massage while the face mask is on). Tucking in to a heated bed, I was ready to switch off for an hour of sheer bliss. That’s exactly what I got. The OSKIA Signature Glow Facial is the perfect facial for those in need of some added glow when the stresses of daily life have dulled your sparkle. OSKIA treatments combine bespoke anti-ageing techniques drawing acupressure, specialist massage and lymph drainage combined with gentle enzyme & AHA peeling. I loved (and treasured) every minute of this facial. It was a completely holistic experience that didn’t only leave my skin feeling great but left my mind and body feeling rejuvenated. The facial starts with spinal alignment and ends with an upright mini massage to ensure your blood flow comes back to normal – looking after you from head to toe. OSKIA products lend themselves wonderfully to the hands-on aspect of this facial. I am already a die-hard fan of the OSKIA Renaissance Cleansing Gel, following this facial I will be investing in more from the brand. Expect an extra deep cleanse with double dose of the Renaissance Cleansing Gel with hot towels, exfoliation with the Micro Exfoliating Balm, facial contour massage, masking with the Renaissance Mask and hand & arm massage with the Rose de Mai Massage Candle. You will find Scottish Spa brand ishga in luxury spas across the UK. ishga is a 100% organic spa and skincare range made from hand harvested seaweed from the Hebrides in Scotland. The seaweed contains anti-oxidants that have anti-ageing properties which revitalize, repair and moisturise the skin. The hotel also have great leisure facilities. Fitness suite with classes, swimming pool, steam room and sauna are available with all spa and beauty treatments.